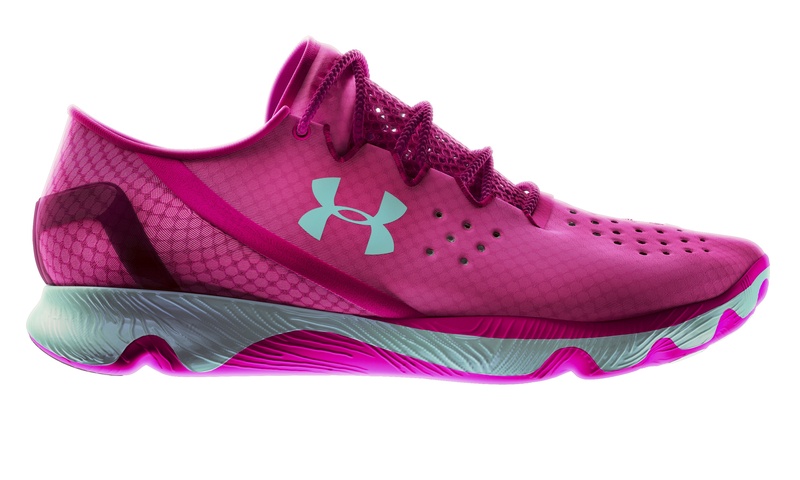 San Francisco’s most iconic foot race, Bay to Breakers, announced today that Under Armour has signed a multi-year deal to serve as the official performance apparel and footwear provider for the event. The announcement comes ahead of the 103rd Bay to Breakers, scheduled to take place on May 18th. 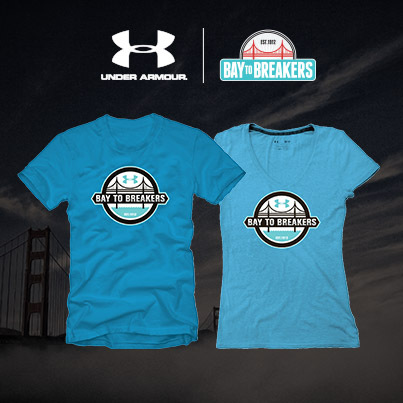 As part of the partnership, Under Armour will collaborate with Bay to Breakers to design co-branded apparel and will use the two-day runner’s expo to highlight some of their cutting-edge technology and innovations. Under Armour will have a strong race day presence as the official sponsor of the notoriously challenging “Hayes Hill,” awarding prizes to the fastest hill runners from select racing categories. Additionally, in the months leading up to the race, Under Armour and MapMyFitness will initiate consumer promotions to rally participants from across the country through integrated web and mobile experiences. With MapMyFitness serving as the official digital partner of Bay to Breakers, registered runners will have free access to premium customized interactive training plans and advanced training tools through the MapMyFitness MVP membership program, including live tracking on race day. “Joining forces with a world-renowned race like Bay to Breakers is extremely exciting for our brand,” said Matt Mirchin, Executive Vice President of Global Marketing at Under Armour. “Under Armour is dedicated to innovation in the running space, as we've demonstrated through the development of our SpeedForm footwear platform. 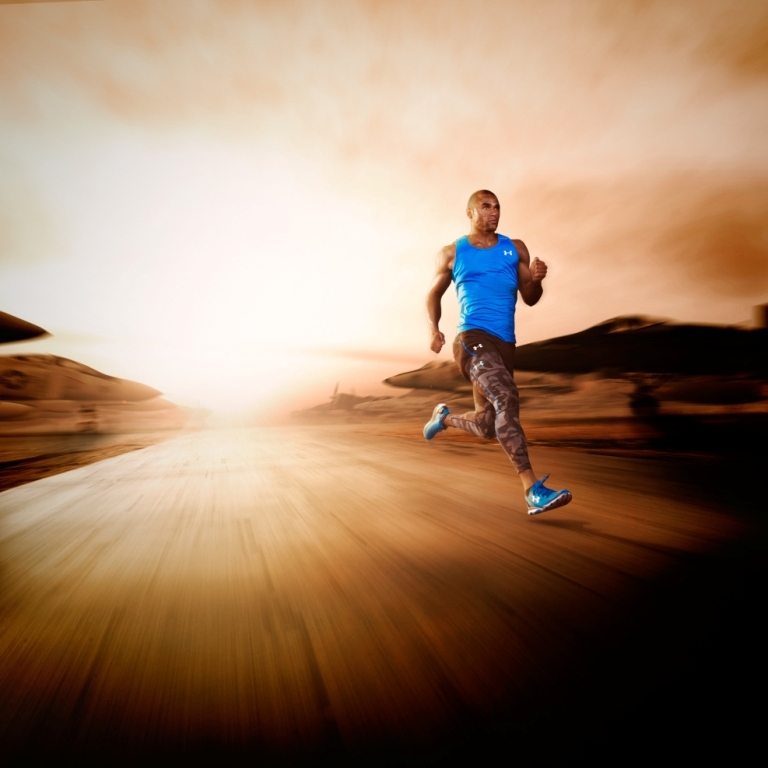 This partnership provides a great opportunity to bring a new level of cutting-edge technology to the race experience by leveraging MapMyFitness and Under Armour’s game-changing apparel and footwear." Since its inception in 1912, the Bay to Breakers race has featured world-class athletes as well as thousands of costumed participants running from San Francisco's Embarcadero to Ocean Beach. This year, Bay to Breakers has partnered with philanthropic partner Tipping Point Community and will donate 10% of all registration sales to the non-profit, which aims to break the cycle of poverty in the San Francisco Bay Area. For more information about Bay to Breakers visit http://www.baytobreakers.com. Under Armour® (NYSE: UA) is a leading developer, marketer, and distributor of branded performance apparel, footwear, and equipment. The Company's products are sold worldwide and worn by athletes at all levels, from youth to professional, on playing fields around the globe. The Under Armour global headquarters is in Baltimore, Maryland. For further information, please visit the Company's website at http://www.ua.com. MapMyFitness is the leader in connected fitness ­ building the world¹s largest digital fitness community by providing interactive tools to make fitness social, simple and rewarding. The flagship consumer brands—MapMyRun, MapMyRide, and MapMyWalk—are among the most popular apps on iOS and Android and the cloud-based platform has been supporting millions of users since it launched in 2007. MapMyFitness is an open platform, seamlessly integrating with more than 400 fitness tracking devices, sensors and wearables. Headquartered in Austin, Texas, MapMyFitness has over 100 employees and offers integrated marketing and advertising solutions, premium consumer subscription products, and a SaaS platform that helps partners of any size tap into advanced fitness tracking technology, workout database, nutritional data, calorie calculators, and 160+ million of the best running, cycling and walking routes around the world. For more information visit http://www.mapmyfitness.com. MapMyFitness is an Under Armour company. San Francisco’s Bay to Breakers is the oldest annual footrace in the world, a staple to the City by the Bay since May 1912. With a starting point near the San Francisco Bay, a few blocks from The Embarcadero, the 7.46 mile race runs west through the city and finishes at the Great Highway where breakers crash onto the Pacific Coast’s Ocean Beach. A quintessential San Francisco experience for 102 years, the race is interwoven into the fabric of the city and is a true reflection and celebration of life between the breakers and the Bay. For more information visit http://www.baytobreakers.com. Founded in 2002, Wasserman Media Group is a global sports, entertainment marketing and management company with expertise in media rights, sponsorships, brand consulting, athlete management, digital, creative and multicultural marketing. Wasserman is headquartered in Los Angeles and also has operations in New York, London, Sao Paulo, Miami, Toronto, Raleigh, Carlsbad and Singapore. For more information please visit http://www.wmgllc.com.